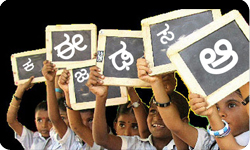 According to census 2011, the literacy rate of Karnataka is 75.6 per cent as against 74.04% at national level. Male literacy stands at 82.5 percent while female literacy is at 68.1 percent, higher than the all India female literacy rate of 65.46%. 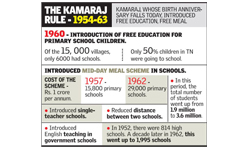 As of 2014-15, Karnataka state had 752,849 schools. Karnataka is also known as the ‘Knowledge Hub of India’. With 44 universities, Karnataka is ranked fifth among all Indian states and union territories In terms of the number of universities. The state has 4,519 pre-university colleges, enrolling more than 1 million students. Karnataka boasts huge infrastructure for imparting technical education. The state has 293 polytechnics that offer various technical courses including civil engineering, mechanical engineering, computer science, automobile, electronics, etc. Besides, there were 206 engineering colleges. Private sector has played a pivotal role in the expansion of technical education. Karnataka is home to 47 medical colleges and 38 dental colleges. Under the state budget for fiscal 2015-16, while US$ 2,688.12 million has been allocated for primary and secondary education department, 646.32 million has been sanctioned for Higher Education department. Institute for Social and Economic Change. Jawaharlal Nehru Centre for Advanced Scientific Research.